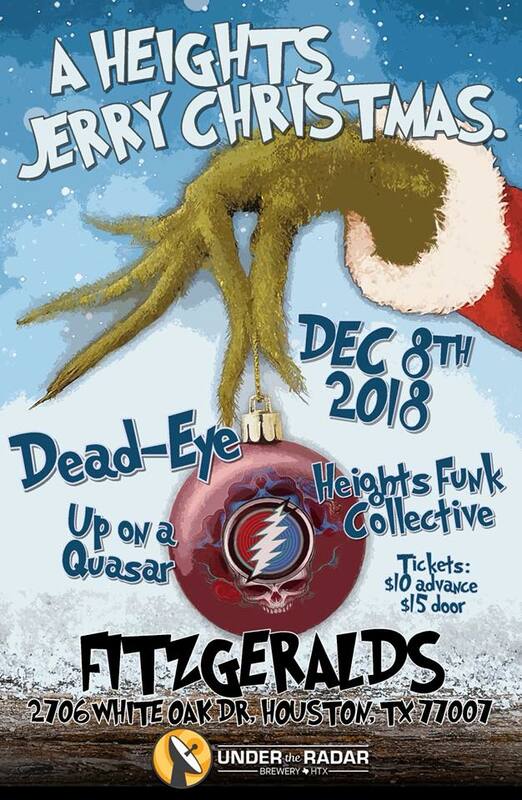 Celebrate the holidays and the music of the grateful Dead with Deadeye, Austin`s premiere Dead tribute band. Heights Funk Collective and Up on a Quasar round out the bill. A second-line from Lights in the Heights to Fitzgerald`s will preclude the show.